The Minor Midget AAA year is the most important season for any minor hockey player. This is their draft year into the Ontario Hockey League and the season they will face the highest level of competition and the most spotlight. The OMHA is proud to continue its rich tradition of developing top talent for the next levels of hockey. From the AAA Showcase weekends to OHL Gold Cup teams, the Minor Midget players in the OMHA have plenty of opportunities to prove themselves. In 2018, there were 84 players selected from OMHA teams in the OHL Draft including seven first round picks. 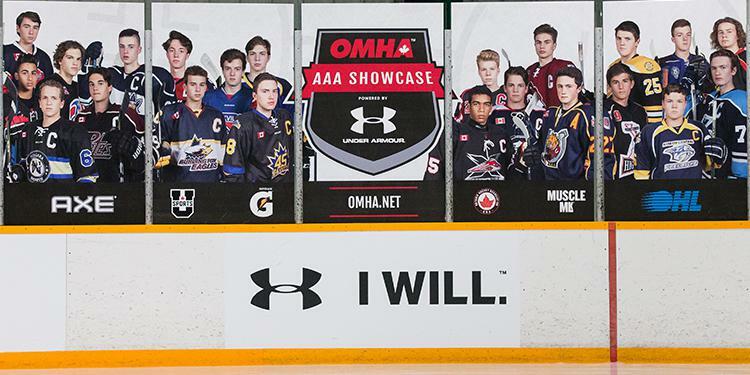 Partners for the AAA Showcases include Under Armour, U Sports, the OHL, Ontario Hockey Association, Muscle MLK and Gatorade.